22nd Century Group, Inc.(XXII) is our new NYSE alert. XXII is a plant-based biotech with technology that allows it to regulate the level of nicotine through genetic engineering. As a result of this unique technology, XXII is able to grow tobacco with up to 97% less nicotine than conventional tobacco. XXII has developed a number of innovative tobacco products that have the power to disrupt and redefine the whole industry. The global tobacco market is estimated to be worth more than $800 billion, according to Euromonitor International. Now, the world’s leading international tobacco company, Philip Morris, has stated its intentions to "focus on efforts to develop and commercialize scientifically substantiated reduced-risk products". This could be a major catalyst for XXII. Read the article from Reuters here. You can also view the CNBC interview from earlier this month with Philip Morris CEO here. XXII is the only company in the world capable of producing virtually nicotine-free tobacco. The finished cigarettes containing XXII's proprietary Very Low Nicotine(VLN) tobacco have the taste and sensory characteristics of conventional cigarettes, but contain only trace amounts of nicotine. According to industry analysts, The global cigarette industry is one of the most profitable and deadly industries in the world. In 2014, cigarette retail values were worth $744 billion and over 5.6 trillion cigarettes were sold to more than one billion smokers worldwide. XXII has a very important mission in this space: To Reduce the Harm Caused by Smoking. XXII has The World’s Lowest Nicotine Tobacco Cigarettes. Conclusive independent laboratory testing proves that XXII's BRAND A cigarettes contain less than 0.6 mg nicotine per cigarette and less than 0.05 mg nicotine yield per cigarette. In each case, this represents a reduction of at least 95% less nicotine relative to “Big Tobacco” cigarette brands, including Marlboro®, Camel®, Newport®, and Natural American Spirit®. XXII also owns or exclusively controls more than 200 issued patents and more than 50 pending patent applications around the world. In October, The New England Journal of Medicine published findings on the benefits of reduced nicotine tobacco products using XXII's proprietary Very Low Nicotine Cigarettes. Excerpt from the article below. Click Here to Read the full release. "Researchers found that during the 6th and final week of the trial, participants who were assigned 22nd Century SPECTRUM cigarettes with 0.4 mg/g nicotine smoked fewer cigarettes per day (14.9) than those assigned to their usual brand (22.2). In fact, very low nicotine cigarettes were found to reduce exposure to, and dependence on, nicotine and to reduce cravings while adverse events were generally mild and similar among groups. Moreover, in the 30 days following the trial, smokers of very low nicotine cigarettes reported they attempted to quit smoking at a rate double that of participants who smoked cigarettes with 15.8 mg/gram nicotine (34.7% vs. 17%)." In late December 2015, XXII submitted a Modified Risk Tobacco Product (MRTP) application with the FDA for the world’s lowest nicotine cigarettes, which, if approved, would represent the world’s first FDA-sanctioned reduced exposure cigarette – and could signal a new era for cigarette manufacturers around the globe. After submitting the MRTP application, XXII was contacted very quickly by the FDA requesting a meeting and in mid January, XXII met with the FDA while 42 people attended on behalf of the FDA. The FDA response could come at any time as there is considerable third party published data on the benefits of reducing the exposure to nicotine. In late January, the National Institute on Drug Abuse(NIDA), a department of the National Institutes of Health (NIH), purchased 4.95 million SPECTRUM® research cigarettes from XXII. In late April 2016, Health Canada made a statement that they are looking into forcing tobacco companies into making smoking less addictive. Earlier this month, Chardan Capital Markets issued a company update on XXII with a Price Target of $4.50. May 19, 2016- 22nd Century to Make Proprietary Research Cigarettes Available Worldwide to Scientists, Researchers, and Governments. "At the Society for Research on Nicotine (SRNT) Annual Meeting held in Chicago in March of this year, the Company received numerous requests for variable nicotine-level research cigarettes from domestic and international scientists wishing to conduct nicotine addictive threshold and smoking cessation studies. 22nd Century is eager to provide scientists all over the world with the means to conduct their important smoking research,” explained Dr. Paul Rushton, Vice President of Plant Biotechnology at 22nd Century Group. May 12, 2016- 22nd Century Launches Major New Initiative to Produce Medically-Important Marijuana Cannabinoids. XXII is only U.S. firm able to operate freely in the cannabinoid biosynthetic pathway; Company intends to produce cost-effective commercial quantities of cannabinoids. May 10, 2016- 22nd Century Group Files 2016 First Quarter Report and Announces Conference Call to Provide Business Update. XXII Eliminates $2.8 Million Derivative Liability. Get started on your research now and stay tuned for more..
We are engaged in the business of marketing and advertising companies for monetary compensation. All content in our releases is for informational purposes only and should not be construed as an offer or solicitation of an offer to buy or sell securities. Neither the information presented nor any statement or expression of opinion, or any other matter herein, directly or indirectly constitutes a solicitation of the purchase or sale of any securities. SmallCapLeader.com sponsored advertisements do not purport to provide an analysis of any company's financial position, operations or prospects and this is not to be construed as a recommendation by SmallCapLeader.com or an offer or solicitation to buy or sell any security. Neither the owner of SmallCapLeader.com nor any of its members, officers, directors, contractors or employees is licensed broker-dealers, account representatives, market makers, investment bankers, investment advisors, analyst or underwriters. Investing in securities, including the securities of those companies profiled or discussed on this website is for individuals tolerant of high risks. Viewers should always consult with a licensed securities professional before purchasing or selling any securities of companies profiled or discussed in our releases. It is possible that a viewer's entire investment may be lost or impaired due to the speculative nature of the companies profiled. Remember, never invest in any security of a company profiled or discussed in a release or on our website unless you can afford to lose your entire investment. Also, investing in micro-cap securities is highly speculative and carries an extremely high degree of risk. To review our complete disclaimer and additional information, please visit SmallCapLeader.com. SmallCapLeader.com makes no recommendation that the securities of the companies profiled or discussed in our releases or on our website should be purchased, sold or held by investors. 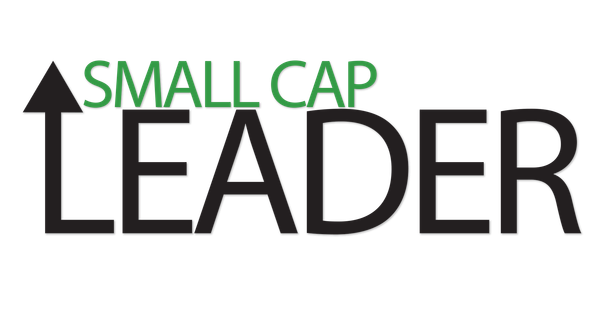 Third parties and/or affiliates of SmallCapLeader.com may at any time have a position in the securities mentioned herein and may increase or decrease such positions without notice which will negatively affect the market. Smallcapleader.com has been compensated twenty thousand dollars by a third party(Third Coast Media, LLC) for an investor awareness campaign regarding XXII. SmallCapLeader.com has previously been compensated thirty thousand dollars by a third party for an investor awareness campaign regarding XXII, which has expired. Any compensation received constitutes a conflict of interest as to our ability to remain objective in our communication regarding the profiled company.